Earlier today shots were fired at a US military recruiting station in Tennessee. 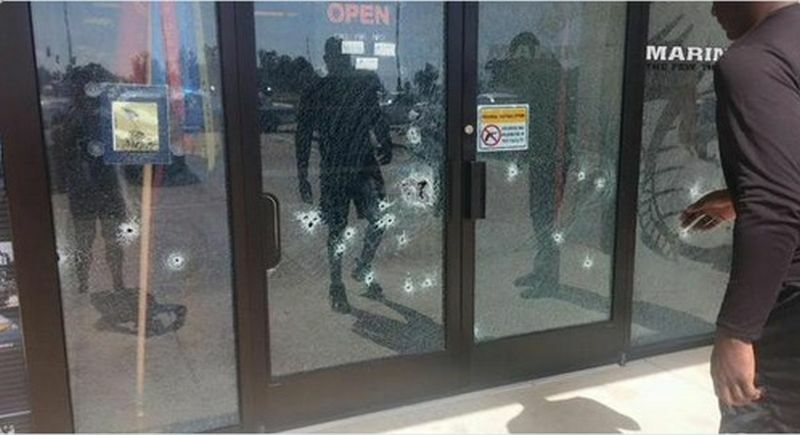 The shooter fled and found another recruiting office where he was able to murder four unarmed US Marines. Here’s the front door of the recruiting office. 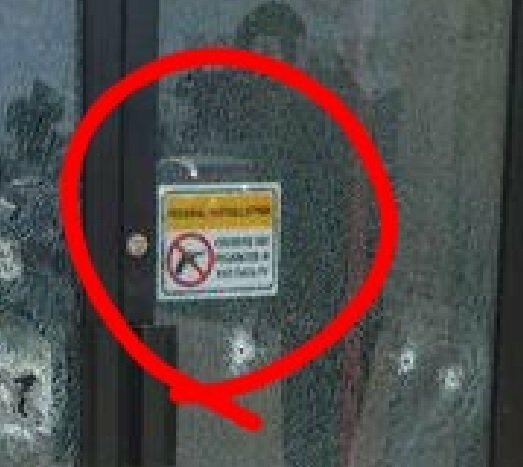 Note the “No Firearms” placard on the door. It is an outrage that US military recruiters, who are routinely attacked several times per year, are not allowed to be armed in their recruiting offices. The shooter? Muhammad Youssef Abdulazees. Probably not an Irish Catholic. The Mayor of Chattanooga indicated that the murders are being treated as “an act of domestic terrorism.” The US Attorney for Tennessee was quick to respond to the Mayor’s statement. Do I hear “workplace violence” somewhere in the background????? The tweets from ISIS apparently came out simultaneously with the shooting. Thankfully, ISIS is not an Islamic organization – at least according to our President and Resident Islamic Scholar – so it may still not have to be called an act of terrorism. This is a developing story, we’ll update as more information becomes available. Michael Becker is a long time activist and a businessman. He's been involved in the pro-life movement since 1976 and has been counseling addicts and ministering to prison inmates since 1980. He has decades of experience as an operations executive in turnaround situations and in mortgage banking. He's been a political commentator since 2001, lives in Phoenix and is almost always armed.